I have been using various free CD & DVD burning softwares, but somehow yearned for more familiar and convenient interface just like NERO . And when I found out about this software, I knew that this was the one that I’ve been looking for a long time. 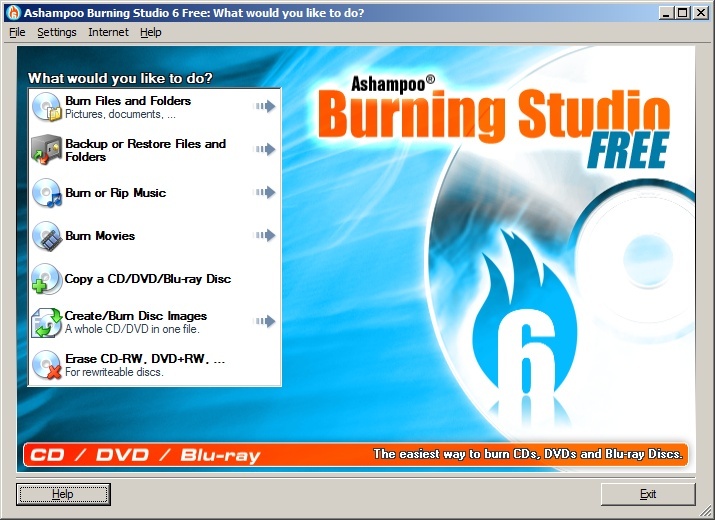 Ashampoo Burning Studio Free 6.61 is Free CD / DVD / Blu-ray Disc burning software. This is a free version according to Download.com (shown below image) but I was not able to find this product on Ashampoo.com website. Wow, that’s more than what I needed and with the familiar friendly easy-to-use screens! 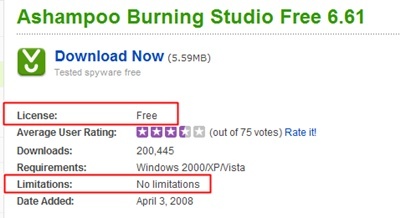 My search for the free CD/DVD burning software has finally ended.